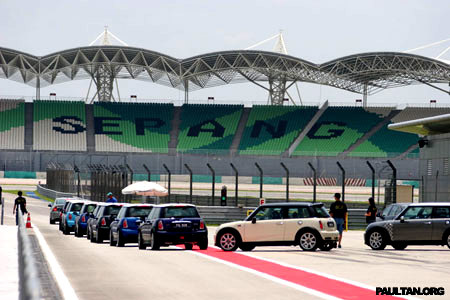 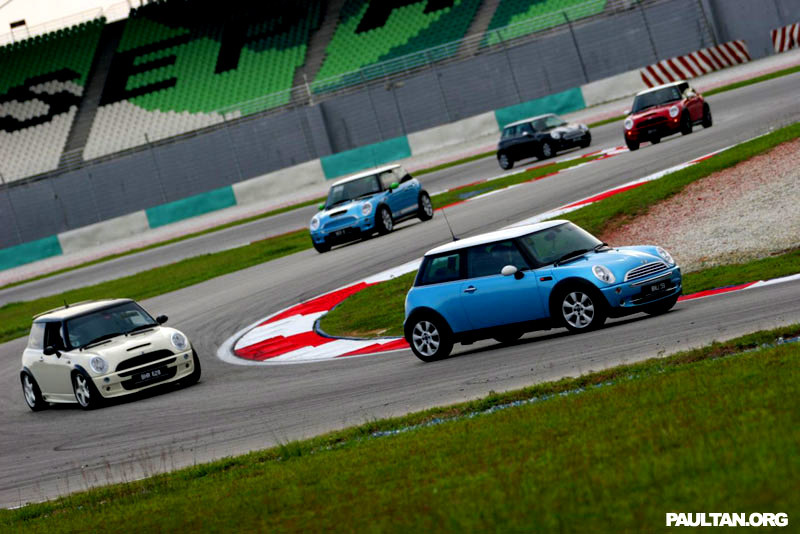 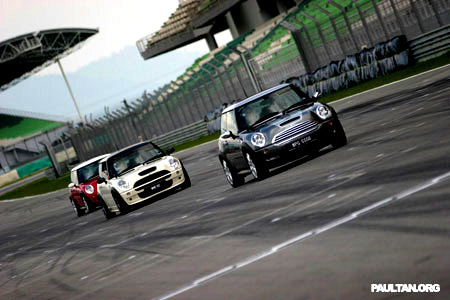 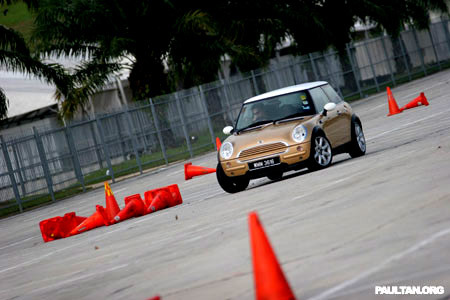 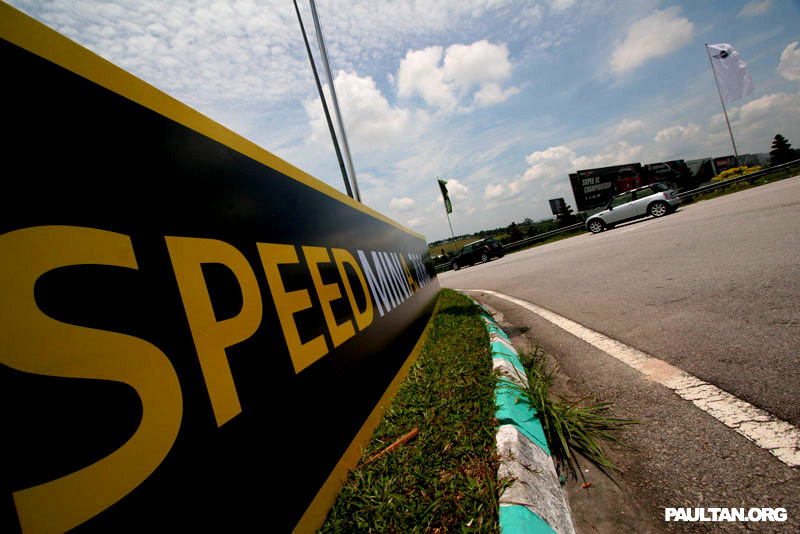 BMW Malaysia Sdn Bhd had recently organised the MINI SPEEDMINIA Drive Day 2006 for MINI owners, which let the users experience a day of activities and festivities at the Sepang International Circuit. 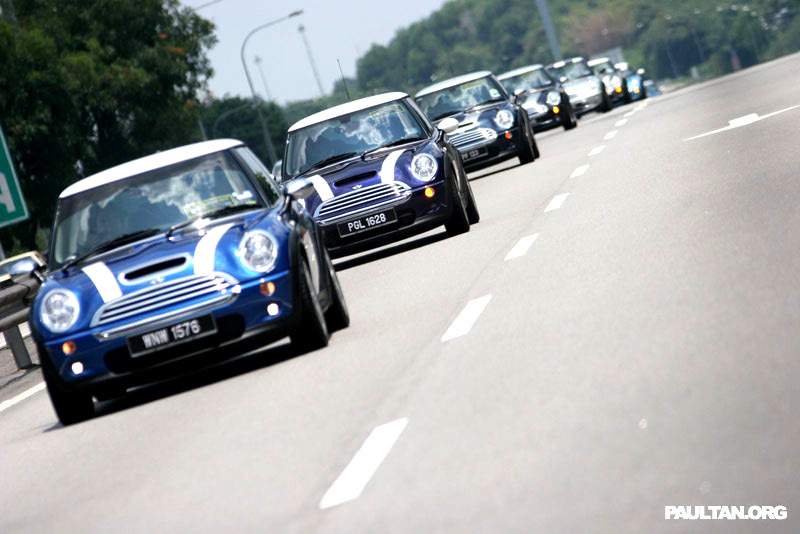 50 MINI owners, divided into 3 groups called Flash, Speedy Conzales and Road Runner began a convoy escorted by 8 police outriders at Auto Bavaria’s dealership in Bukit Bintang, and headed to the SIC. 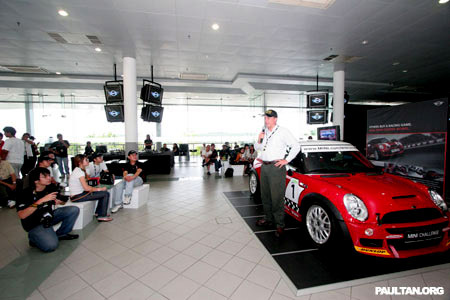 Upon arrival, lunch was served, then it was time for a theoretical introduction to professional driving, driving safety and a circuit briefing. Then on to the practical track sessions. Times were measured, and the two best drivers as well as the slowest from each group were rewarded with being driven around the SIC by pro drivers in a MINI Cooper S John Cooper Works as well as a MINI Cooper S Cabriolet. 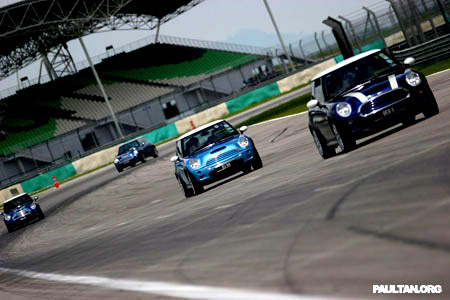 All drivers received Certificates of Participation. 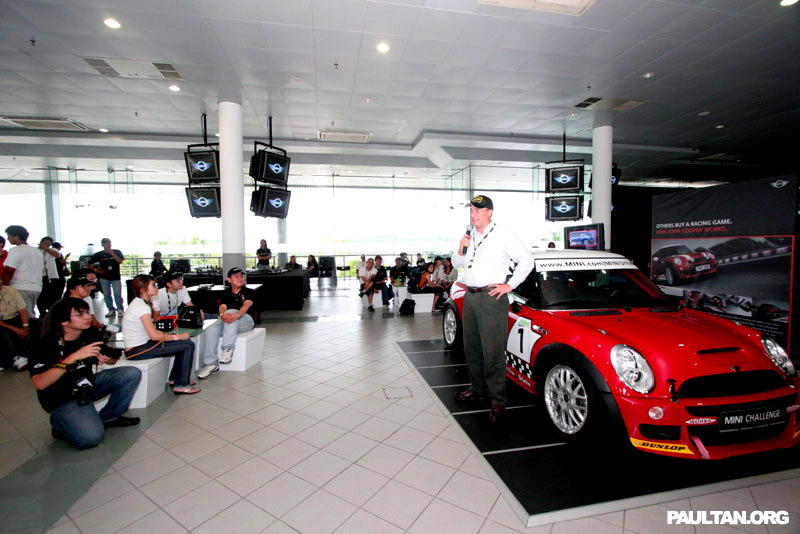 More photos after the jump, click for enlarged versions.